Lightly ruffled sdbl. 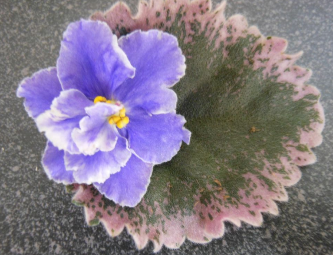 blue stars with white streaks, edges. 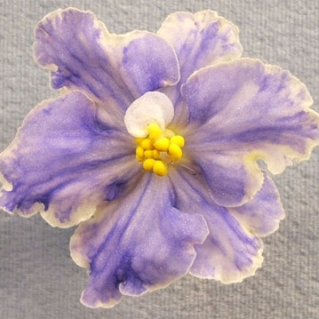 This unusual standard violet is so delicate.